The following is archived here with the kind permission of Alex Huff. It was originally posted to the Railroad.net discussion forum June 16, 2005. Why we leased them and what happened to them. What follows is based on my memory of nearly thirty years ago, I was MIGN's VP-Operations (big title, small railroad) at the time. 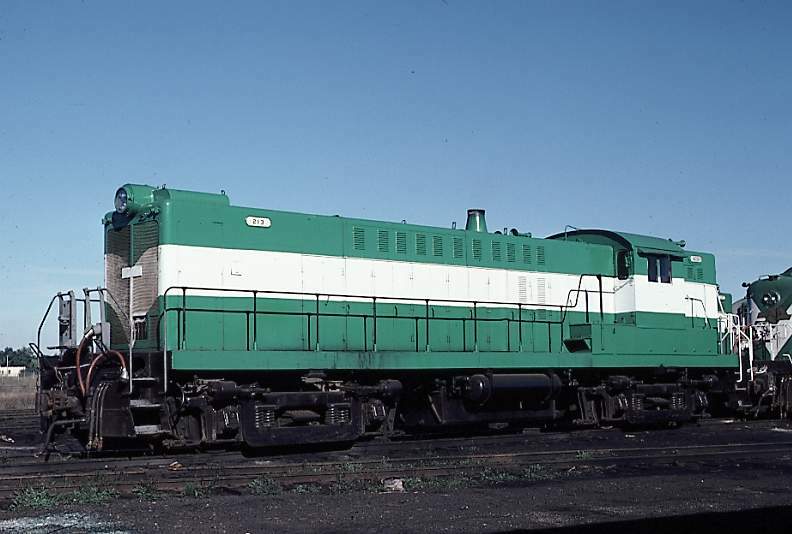 Michigan Northern started on April Fool's Day, 1976 between Grand Rapids and Mackinaw City, MI on ex-PRR (nee GR&I) track which was not included in Conrail. The state of Michigan leased the track from the Penn Central trustee and subleased the line to MIGN. We started with two secondhand RS-3's, our second choice. First choice was three ex-GM&O RS-1's, but ICG wanted too much for them. Because of the 244 engine, the RS-3's were considered expendable, just run them to major failure which was usually a failed crankshaft due to fuel dilution in the lube oil. 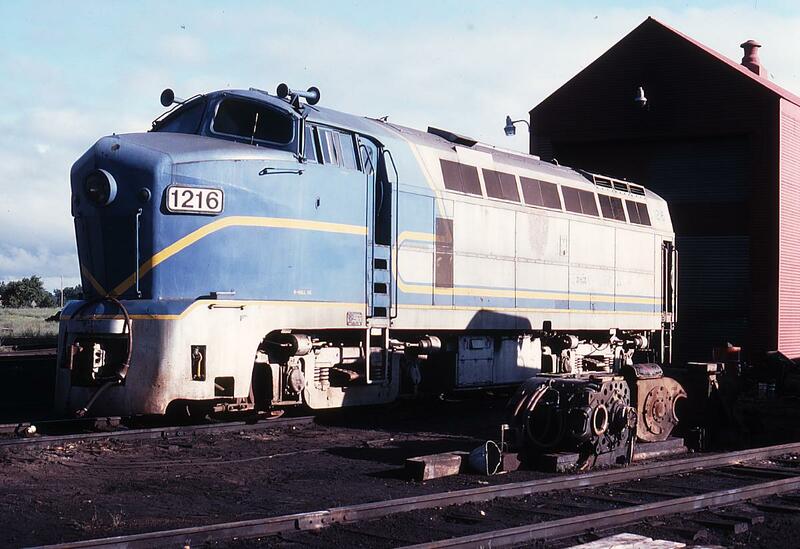 In the winter of the first year we purchased an RS-2 from the Green Bay & Western. Under pressure from the state to increase carloadings or see the railroad cut back, we chose to not take a general rate increase of rail freight rates. This was before deregulation in 1980. This greatly annoyed the major railroads, since our flag out did not apply to just MIGN but all railroads in the route. Bottom line, it was cheaper to ship lumber from the west coast to the east via MIGN than via Chicago. Business picked up considerably and we were in the market for more power. Conrail was leasing just about everything that had an EMD prime mover in it, so we were priced out of GP's. CNW was selling off some of their Alcos wth 244 engines at a price we could afford, so we bought two RS-3's. 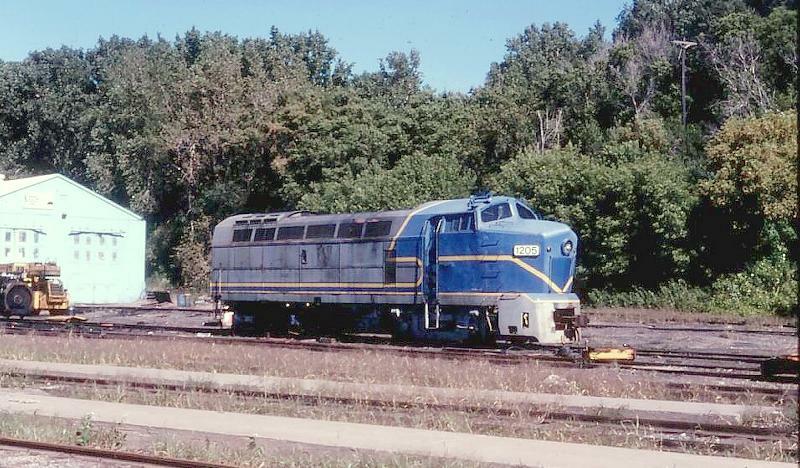 Later, we went back for more, but the last four RS-3's had been sold to Craig Burrough's Erie Western. CNW still had some unwanted RSD-4's and RSD-5's but we were reluctant to take on the six axle trucks. In hindsight we should of bought them. With EMD's out of our price range and no Alco's we knew about available, we took what was available, the two Sharks. (I know, you thought I would never get to them.) A serious consideration was the "railfan" aspect of running the last two Sharks in existence. However, after having been assured by the D&H that the Sharks were in good condition (they weren't) and that owner John Kunzie (Castolite) was willing to lease them for $100/day of use only, and we were pretty desperate for power, we took them on. We knew going in that the air throttle system would not MU with the Alco's and soon figured out which air control valves would stick by looking at the scars on the valve bodies where D&H crews had thumped them with whatever was handy. D&H had purchased replacement parts from a company in Belgium which had acquired the 600 series engine design. There were reliability issues with some of these parts. One unit (1205) had a head failure and our Master Mechanic, ex-PRR Wade Plummer, took the head off, bolted some straps over the liner to keep it from walking out of the block, left the piston connected so as to not unbalance the crankshaft and fired it up. There was a slight water leak so when you peered into the bore and watched the piston stroke back and forth, you got mist in your face. There was no significant drop in power while it ran on seven cylinders. I don't recall how long we ran it this way, but it was used in regular service. This unit was scheduled for a major rebuild by John Kunzie, he supplied the material, including new power assemblies and a crankshaft. Michigan Northern supplied the labor, overseen by Fred Cave, the last Baldwin tech rep, by now working for Ecolair, the successor company. Unfortunately, the engine failed due to low oil pressure not too l ong after it was rebuilt and scored the crankshaft. The unit never operated again. The remaining Shark (1216) was often double headed with two Alcos. Because most of the traffic was southbound from the car ferry at Mackinaw City, the Shark would tow the pair of Alcos and the cars (mostly empty). Southbound with a heavier train, the Shark would be towed by the Alcos except on the ruling grades. When the crew needed the extra power, the conductor would go back to the Shark and run it seperately. This unit came to a bad end due to human error. It was the sole power on a snow plow run, pushing a Jordan spreader. The man in charge wanted to turn the equipment at a wye at Walton Jct. which meant the Shark had to tow the spreader around one leg of the wye. The Shark was run backwards into deep snow which packed under the carbody and against the #4 traction motor. The traction motor grounded out. By this time, John Kunzie had had enough of Michigan Northern and arranged to have the Shark with the bad crankshaft repaired at Diesel Electric Services in St. Paul, MN. They removed the prime mover, fell on hard times and folded up. The unit was put back together and both ended up going to the E&LS where John stored them. One unit (1216) was operated briefly on the E&LS. I am not familiar with what happened after that, I believe John Larkin/E&LS bought the units from Castolite to settle storage charges. John Larkin has a fairly large collection of Baldwins, of which at least one is still in service as an occasional switcher. John also has a collection of passenger cars, including one of the Skytop MILW observations and probably the only representative set of SOO heavyweight passenger cars. He will not leave any descendants and since the railroad is owned by his family, I think it unlikely that anything of value will be scrapped. Other trivia, John Kunzie told me he had looked at the B-unit carbody but it was too far gone to be put back in service. When the Sharks worked, they pulled well, the air throttle gave the engineer an early version of creep control, the wheels would slowly slip/creep which maximizes adhesion. John gave us a stack of plastic builder's plates since Castolite made casting kits. We went through a fair number of them as "fans" were prone to steal them. Some cracked and we gave those to whatever fan happened to be standing nearby. The units rode well and it seemed you sat a little higher than in the Alcos. You had to watch the speed, they would get going faster than you realized because of the smooth ride.